No confusing backwards or diagonal words to find here! 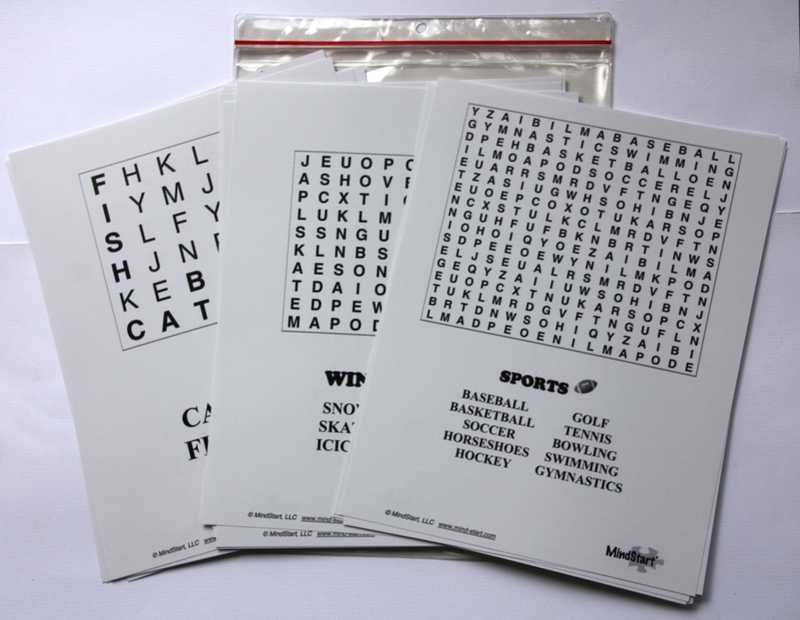 MindStart word searches have less complexity and are focused on familiar themes. Includes 40 puzzles at four levels of difficulty. to allow use for people at various stages of dementia. Searches are allowed to be photocopied and are printed on sturdy paper to hold up to repeated handling. Includes a pouch for storage. Consider for all activity levels, especially high and middle. 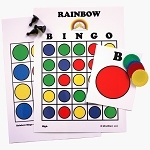 "Large print & adaptations allow brain exercise for seniors with vision or memory loss"
Therapist Tip: Word puzzle activities are a great cognitive stimulation exercise as they stimulate the language parts of the brain, use the visual system to scan the letters, and use attention, memory, and planning to focus on and find the words. Patients with Alzheimer's disease or other dementia can be successful with the MindStart Easy Word Searches, as there are adaptations to make these word searches easier, with different levels of ease to choose from. 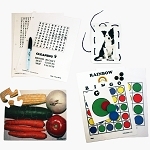 They are also useful for adults recovering from stroke or head injury and the large print in the searches make them easier for seniors with vision loss. I love these word searches. I think it was a wonderful idea to include the three levels of difficulty in the packet so people can use whichever one works best. And it is a great idea to have the words going in just two directions.